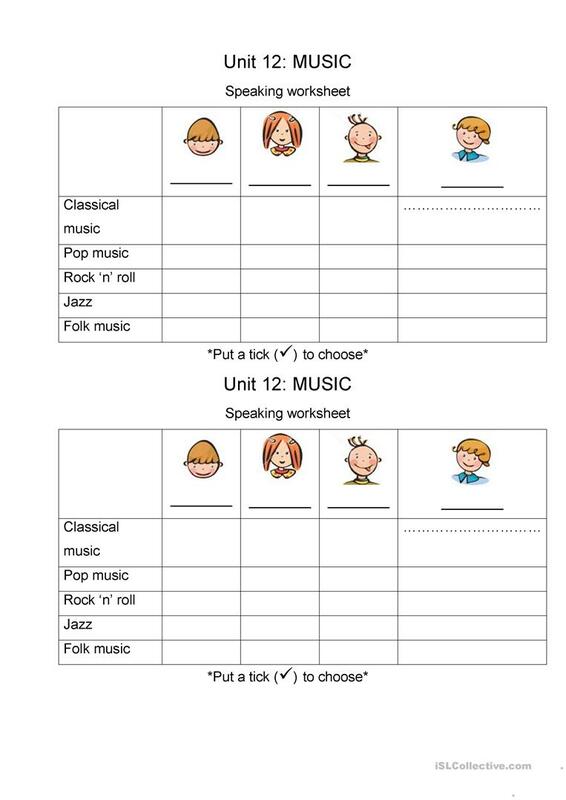 Students will use the worksheet to ask their classmates about their favourite type of music. After talking time, students will report to the teacher and their classmates. The present printable, downloadable handout is intended for high school students at Pre-intermediate (A2) level. It is aimed at practising Present simple tense in English, and is useful for improving your learners' Speaking skills. snowell is from/lives in Vietnam and has been a member of iSLCollective since 2012-01-13 04:26:04. snowell last logged in on 2017-07-25 13:04:17, and has shared 1 resources on iSLCollective so far.